We all need a little help… from time to time. 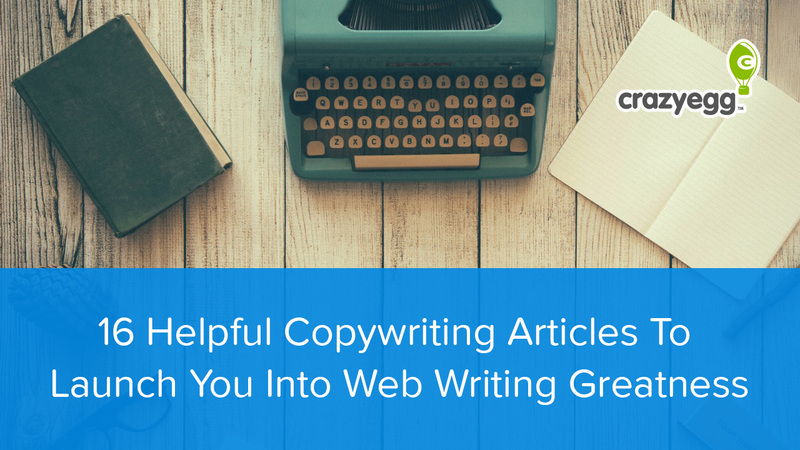 Actually, as online copywriters striving for greatness, we need all the help we can get. Because writing online is grueling. From idea generation to creating headlines to composing, editing, rewriting, optimizing, and promoting … to all the behind-the-scenes stuff you dread most — like pitching, billing, and invoicing — it’s easy for what was once your first love to become your worst nightmare. The good news is copywriting is big business. Which naturally means copywriting about copywriting — best practices, case studies, special reports, rounds up, trick, tips, hacks, and more — are everywhere. Here’s the bad news: not all “help” is created equal. What’s worse, forcing yourself to pour through the overwhelming flood of copywriting about copywriting is just that … overwhelming. That’s why, over the last year, I’ve been collecting a list of the most massive and massively helpful online copywriting articles. This list isn’t a popularity contest, although some of them have been undeniably huge. Instead, this is a list of the articles to turn to when your back is up against the wall … or (preferably) before that. In fact, to make this list as practical as possible, each amazing entry doesn’t just include the usual stuff — like a link, author, screenshot, and summary. Each one also contains the one, key copywriting insight to take away from it. When I said “massive” … I meant it. This one is a beast. Sadly the phrase “Ultimate Guide” gets tacked onto a lot of headlines these days as little more than clickbait. Not so with our first entry. Clocking in at over 11,000 words, Joanna Wiebe’s post — as if “post” could do it justice — includes over 139 formulas, from 34 different online authors, and literally too many specific examples to count. 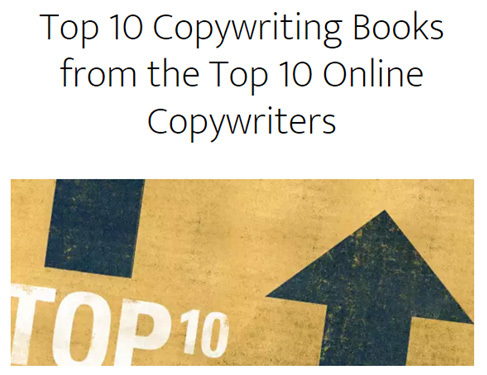 If you’re looking to an exhaustive and in-depth resource to start your next copywriting project — whether it’s a sales page, home page, value proposition, blog post, testimonial, or email — start here. They will help you face the Blank White Page without cowering. They’ll help you generate A/B test ideas faster. They’ll help you pinpoint what’s going wrong in a button … in a headline … or even in a video script. Articles on the use of psychology and copywriting abound. What makes Nadav’s stand out? For starters, it was Crazy Egg’s third most popular article last year on social media … despite being released in December. Ironically, the only other pieces shared more widely were Nadav’s other guest post on “The Dynamics of Screen Size and Resolution for Conversion” and Crazy Egg’s bread-and-butter article on A/B testing with Google Analytics. Lots of posts cite Robert Cialdini’s six weapons of influence. But very few of them include concrete, modern, marketing-specific examples of those principles in action. 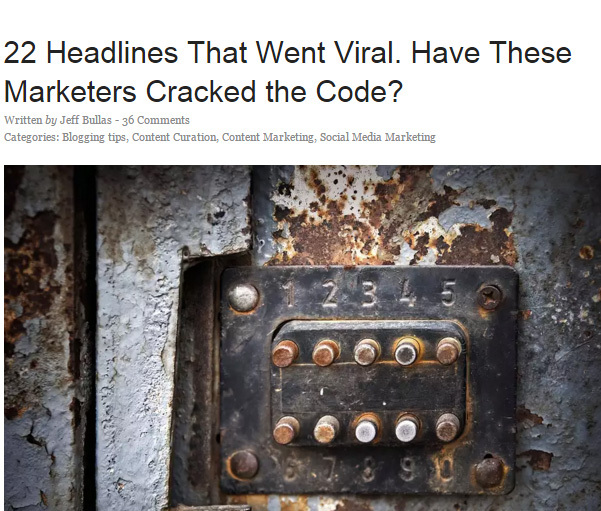 Since its launch, Buffer’s blog has been a go-to resource for all things content. What’s more, it’s the cornerstone of Buffer’s own massively successful content marketing strategy and accounts for rough 70% of Buffer’s overall growth. That why, when Kevan Lee got “meta” regarding Buffer’s own blogging disciplines — it’s a blog post about how to write blog posts — the thing took fire. 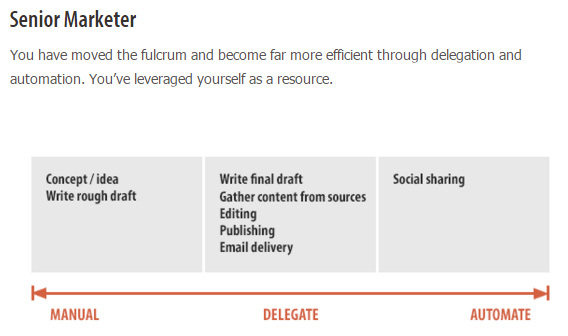 In addition to a detailed breakdown of Buffer’s own internal processes, time allotments, and keys to success, the piece also includes tool recommendations to help speed up your writing process. If you are looking for a simple guide to cranking out lead-generating blog posts in a short time, Kevan’s article fits the bill. One of the best ways to write great content is to make time to write great content. Short, clear and concise … relatively speaking. And that’s precisely the point. Brandon Turner’s article is one of two sub-2,000 word pieces on this list. But don’t let that mislead you. Hands down Entrepreneur’s most popular copywriting post of 2015, Brandon majors on how to write like a human. What’s more, for each “hack,” he includes examples and real data to prove their value — something that’s often missing from big-fish publications like Entrepreneur. If you are dreaming about simple tricks to your online business to increase conversions and especially your email response rate, then dig in and apply. Trim your copy down to its basic elements, and remember: Copy that’s simple and casual sounding is simple and easy. Copy that’s too clever is bad and confusing. Chock-full of visually-appealing examples and fantastic copywriting tips, Oli Gardner explains in six “chapters” how to attract landing page visitors, improve conversions, reduce friction, and create compelling, click-worthy forms. 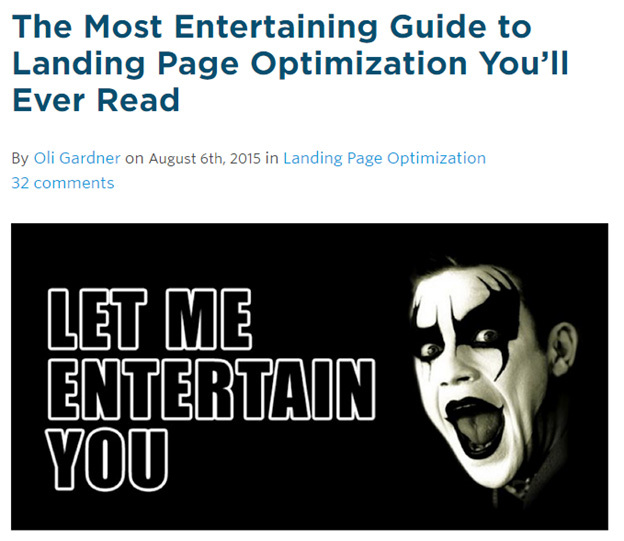 Written by the self-proclaimed man who’s “seen more landing pages than anyone on the planet,” the article distills years of Oli’s in-the-trenches experience without getting lost or overcomplicated in the technical details of conversion rate optimization. If I’ve got your attention thus far, it’s probably because you can’t bear to tear your eyes away from my enchanting prose. On the heels of Oli’s exhaustive guide to landing pages, Nicole Dieker zeros in on one thing and one thing only: getting visitors to click your buttons. 19) You’ve got the wrong possessive determiner. A ContentVerve study showed that, in one case, changing the CTA copy from “Start your 30 day free trial” to “Start my 30 day free trial” increased click-through rate by 90 percent. 33) Your visitors don’t trust your CTA. They don’t know whether clicking the button and getting their free PDF also means signing up for a bunch of email they don’t want. Published by Jeff Haden, this post includes a near encyclopedic list of free online resources to help you become a better copywriter (and content marketer) as curated by Kevan Lee of Buffer. 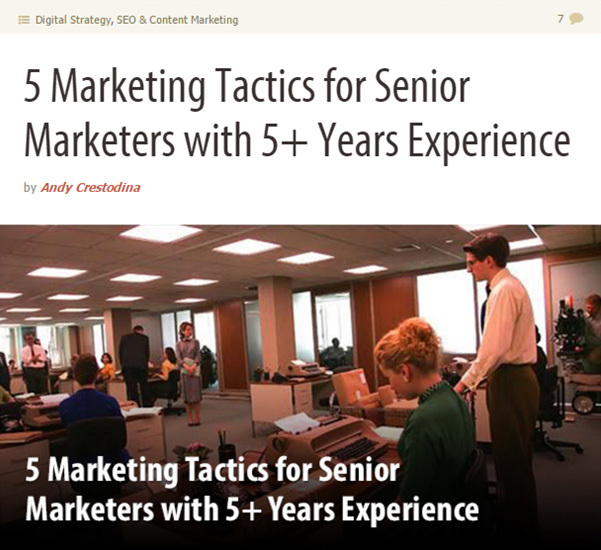 It features articles from great digital minds like Neil Patel, Brian Clark, and Rand Fishkin. And even some insights from advertising legends like John Caples and David Ogilvy. Kevan’s running commentary serves as a high-level abstract offering you one or two points from each resource and what you can expect when you turn to them. Creativity is 85 percent a learned skill. Think of content as hubs. You can write on a single topic at different depths to come up with a huge number of individual articles: high-level list posts, overview of a topic in a list item, and in-depth posts about an element of the topic. While not explicitly about copywriting, Andy Crestodina — the author of “Content Chemistry: How To Win On The Web” — inches down in this piece to target “senior marketers” … and he delivers on his promise. In an online world that primarily churns out “beginners” content, Andy’s piece shines with practical marketing lessons as well as copywriting insights from a genuine vet. Rather than writing your next post. Write the outline of your entire body of work. Start with the big topics and add the subtopics under each. Create the structure that every post you’ve ever written fits within. And sometimes, it’s not about delegation or automation. It’s about deciding what NOT to do. Make a DON’T DO list and simply quit doing certain things. 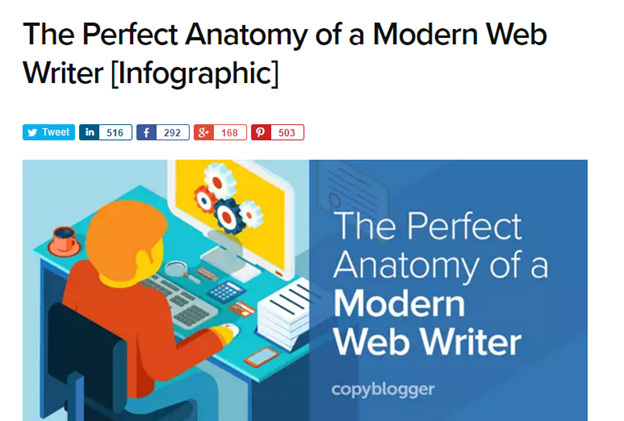 Written for one of the most popular copywriting blogs in the world, Copyblogger, Demian’s infographic and its companion guide are a one-two copywriting punch. There are two sets of people who should read this insightful post. Anyone who wants to become a better web writer. And anyone who wants to hire a web writer. Copywriting begins with empathy for your customer. You need to know your customer’s hopes and fears, her principles and problems — and then figure out how to help her achieve her goals and ease her pains. 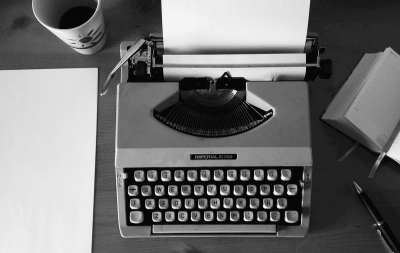 There’s no debate: the best web writers are also the best storytellers. Ultimately, the “magic” of a world-class content creator rests not in his muse but in his work ethic, which is usually simple and aggressive. Two articles by (basically) the same writer? Absolutely. Naturally, I’m a fan of Joanna. 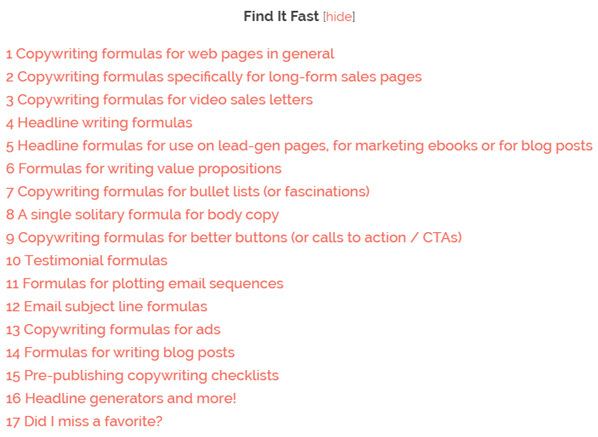 But here’s the real reason she deserves a second mention: the “I want [blank]” formula for writing calls to action. While Joanna addresses this core CTA principle in the post I mentioned previously, this interview goes into depth on how to apply it not only to your buttons, but to your emails. 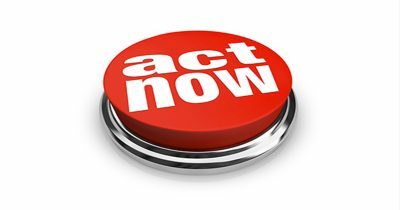 Don’t think of a CTA as a call to action. Think of it as a call to value. An action may be “Read the blog post about button formulas” but the value would be “Convert better with these 3 button formulas.” Test the two against each other. I’d put my money on the call to value. Write button / CTA copy that completes this phrase: I want to ________________. The underlined part becomes the button copy. 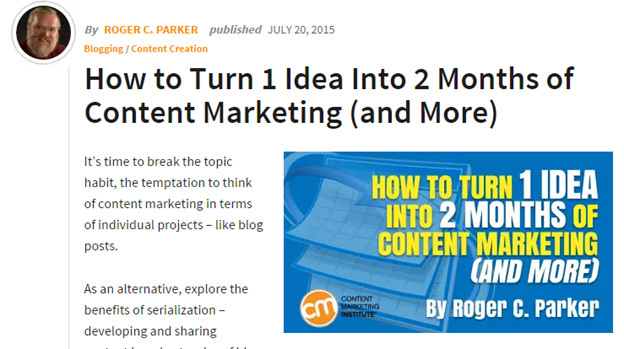 For weary writers struggling to generate post after post without burning out, Roger’s article contains a refreshing approach to developing content. It also presents a holistic solution to the problem of disjointed editorial calendars. Like its title, the article contains result-driven, long-term content marketing strategies that will help boost your productivity and creativity alike. It also contains downloadable templates to immediately apply the strategies contained in the post. Look for a resonant problem or goal where you can make a significant contribution that will be appreciated by your ideal clients and prospects. Write to discover. Don’t wait until you know exactly what you’re going to describe in blog posts. 12. 22 Headlines That Went Viral. Have These Marketers Cracked The Code? 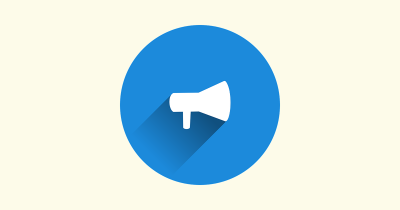 Attracting attention is the first key step to engage with readers and driving sales. Unfortunately, getting attention is damn hard. Jeff’s article takes a look at one of the most effective means of capturing attention: the headline. In particular, he examines the 22 most successful headlines by mega media upstarts — BuzzFeed, Upworthy, and ViralNova — and shares lessons from each you can apply to your own copywriting efforts. Filled with visually appealing examples, the article is data driven while at the same time being full of creative energy. Create multiple headlines for the same article. David Ogilvy was famous for having written over 100 headlines for one advertisement. It’s easy to throw together a jumble of jargon-laden, impressive sounding words in an effort to look smart and professional. 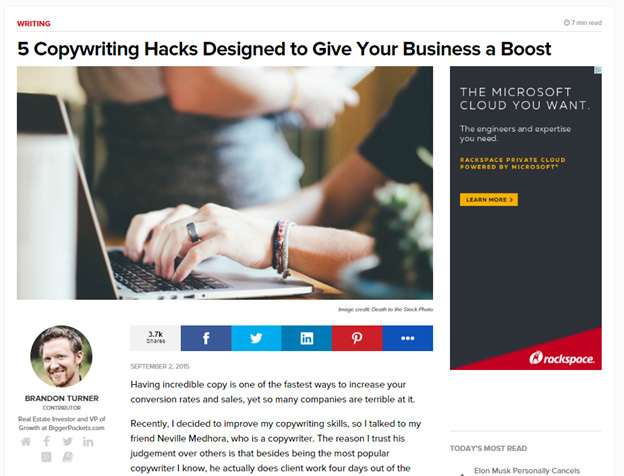 But if you’re looking to actually write engaging content that entices, persuades, and rouses your readers to bite down, Henneke’s article will teach you short and actionable skills to do just that. 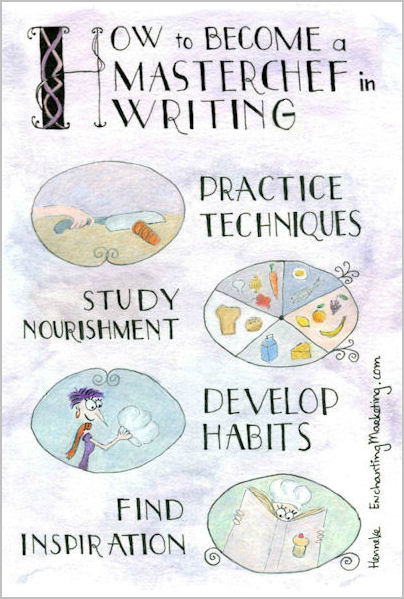 What follows is a list of 27 “mini-skills” — one-sentence directions with links to dig deeper — to develop enchanting content, hone your writing habits, and stand out. Find inspiration by studying the masters. Instead, we learn how to write and cook by studying the masters and ‘stealing’ proven recipes. Just in case you thought all these articles were going to be about the art of copywriting … they’re not. This one is all business, in the best sense of the word. Thankfully, it comes directly from a true copywriting insider. In addition to being a regular contributor for places like Entrepreneur, Forbes, Inc., and TechCrunch, John was named as the number one person “to know in Silicon Valley” last year by Huffington Post. 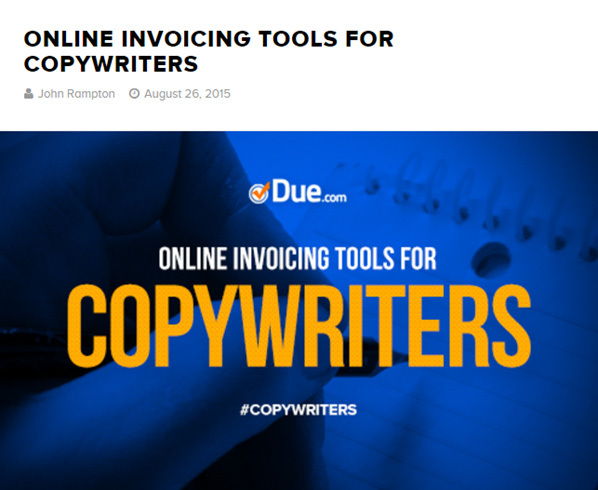 John’s article for Due — where he serves as the founder and CEO — goes after some of the most painful (behind-the-scenes) elements of being an online copywriter: pitching, billing, and invoicing. Copywriters don’t like things that take up their time that do not have a dollar sign attached to it. Yes, time is money, so it is great to have an online invoicing tool that stores all the client data to populate fields on future invoices, automatically tally up the billable hours or project amounts, and send to a client’s email rather than having to go the paper route. Of course, knowing why and knowing how are two totally different creatures. This “advanced guide” by Shanelle gives concrete answers to all of your emotionally related questions by examining the pillars of persuasion and how they are being used to increase conversions. Replete with superb examples, the article is worth every second if you’re looking for ways to connect more deeply with your readers and ultimately transform them into paying customers. Appealing to emotion creates a connection with each visitor, which makes them more open to your calls to action. Choose each word with purpose, especially in headlines and calls to action. Examine each word and consider how it makes you feel. Repeat trigger words throughout your copy to inspire and maintain the right emotion(s). At the very high risk of being shamelessly self-promotional, I can’t help but end this list with an article of my own. The second to last book on the list is my own recommendation, Breakthrough Advertising by Eugene Schwartz. Copy cannot create desire for a product. It can only take the hopes, dreams, fears and desires that already exist in the hearts of millions of people, and focus those already existing desires onto a particular product. This is the copywriter’s task: not to create this mass desire — but to channel and direct it. 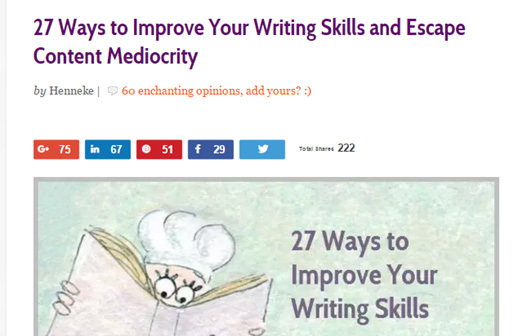 The 16 most massive and massively helpful articles on copywriting. Of course, even with a list of 16, there’s a pretty good chance I missed your favorite. Let us know about it in the comments … and don’t forget to include it’s own most useful copywriting insight. About the Author: Aaron Orendorff is a regular contributor to Entrepreneur, Fast Company, Business Insider, Content Marketing Institute, Copyblogger & Unbounce. Grab his Ultimate Content Creation Checklist at iconiContent.com.